Flandria boat tours with live guide, since 1922! 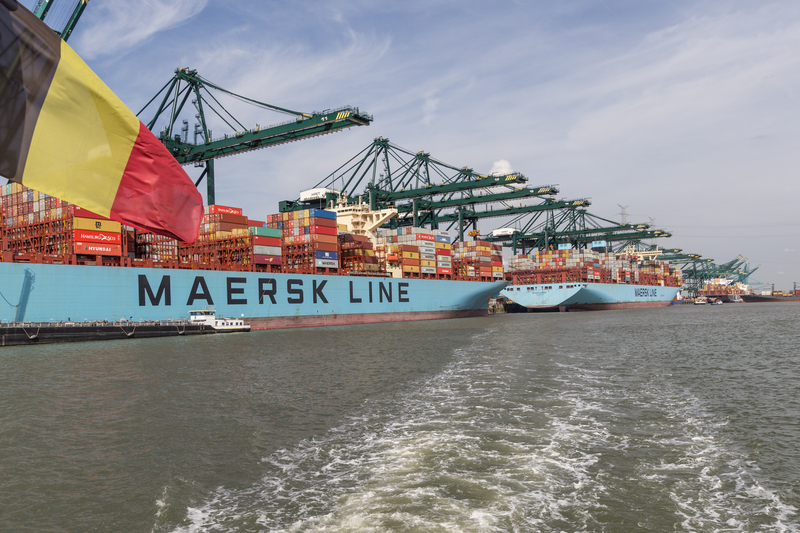 Discover the port of Antwerp! 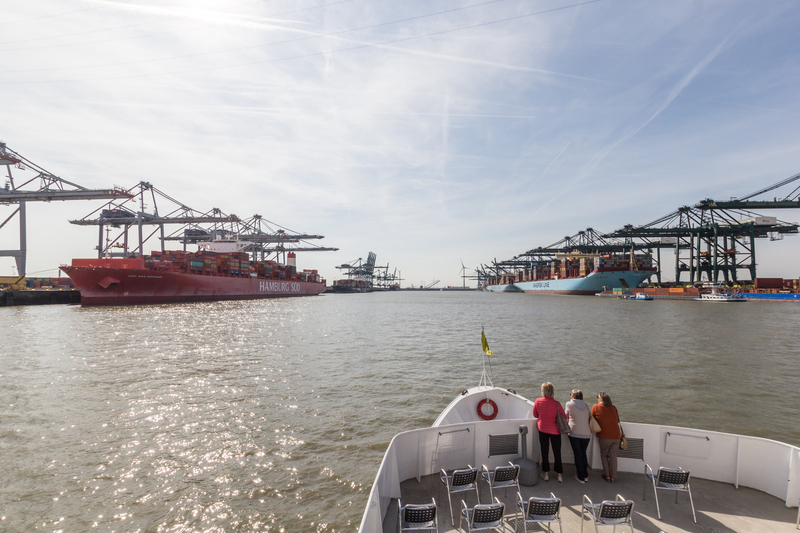 A Flandria boat tour is the perfect way to discover the Port of Antwerp from a different angle. Embarkation at the Kattendijk dock/London bridge, at walking distance from the MAS, Red Star Line Museum and the new Port House. A discovery cruise with our Good Morning Antwerp Harbour Cruise or 3-hour Port of Antwerp Cruise, or soaking up the atmosphere on our Beer & Chocolate cruise? The Flandria fleet is also the ideal location for your private party, wedding or corporate event. You can catch a breath of fresh air on the outdoor deck or relax in the cosy atmosphere in the interior lounge. Our team provides an excellent service and our live guides tell you all you need to know about Antwerp and its immense port. 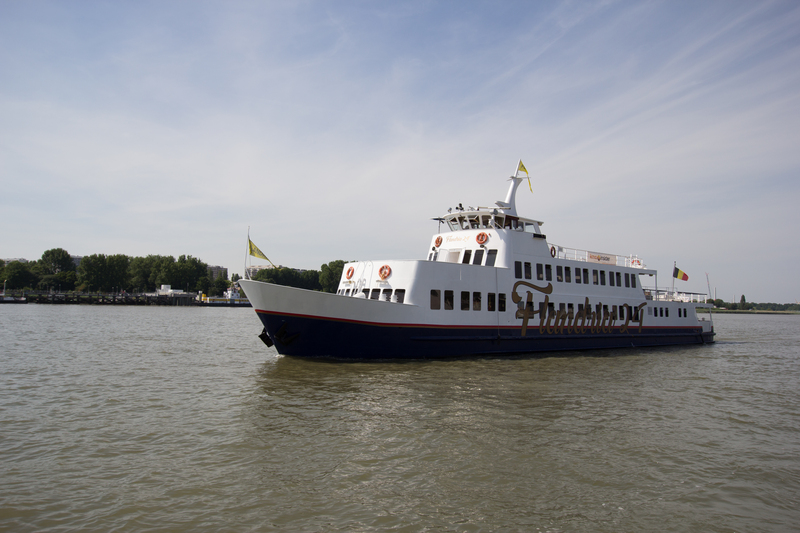 A Flandria boat tour is the perfect way to discover Antwerp and its world-class port from a different angle. 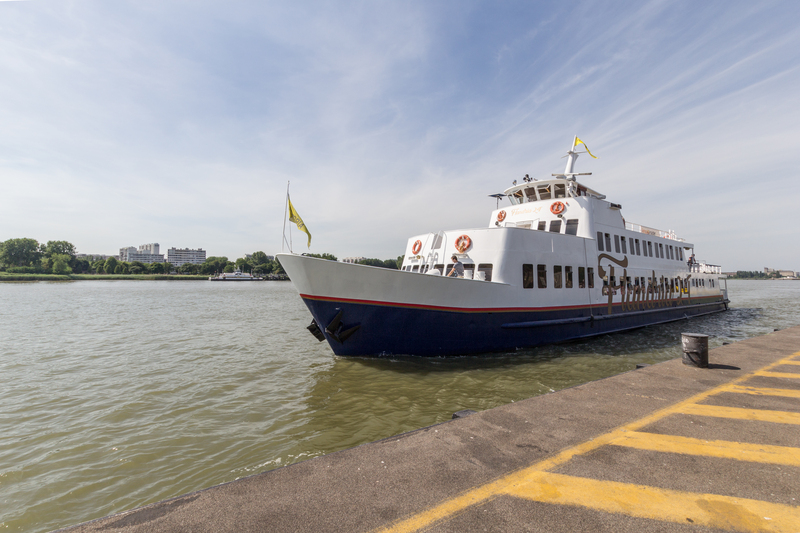 We offer you a full programme of harbour cruises departing and arriving at Kattendijk dock, on the ‘Eilandje’, Antwerp’s trendiest district located at walking distance from the MAS, the Red Star Line museum and the new Port House. You can also combine our boat trips with a snack and a drink, breakfast or lunch. More eco-friendly than ever because we mainly use locally sourced products! Also be sure to check out our programme of thematic cruises. Watching the sun go down on a Candlelight cruise or quietly relaxing on a Lazy Sunday Lunch cruise. Setting out on a discover trip with the Beer & Chocolate Cruise or soaking up the atmosphere on our “mussel boats”. The Flandria fleet is also the ideal venue for your private party, wedding or corporate event. Depending on the formula, we can accommodate up to 200 people. You can catch a breath of fresh air on the outdoor deck or soak up the cosy atmosphere in the internal lounge. Our team provides an excellent service and our live guides tell you all you need to know about Antwerp and its world-class port. Our multifunctional event hall Cadx (www.cadx.be) also allows us to offer lots of on-shore fun activities and unforgettable moments for young and old alike. Ideal for team building events, schools and associations, in combination with a boat trip. If you’d like to experience ‘The best of Antwerp’ for yourself, then contact us today to experience this unique Antwerp classic. Active since 1922 but recently revamped. Welcome on board! Use this calendar to plan your Flandria cruise!